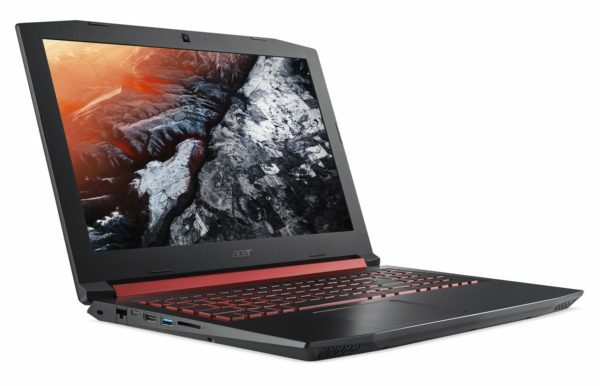 The Acer Nitro AN515-51-53ZA is a 15-inch laptop intended for gamers. It is based on a solid Kaby Lake i5 Quad Core supported by 6 GB of RAM and a hybrid storage of 1.1 TB (SSD 128 GB). 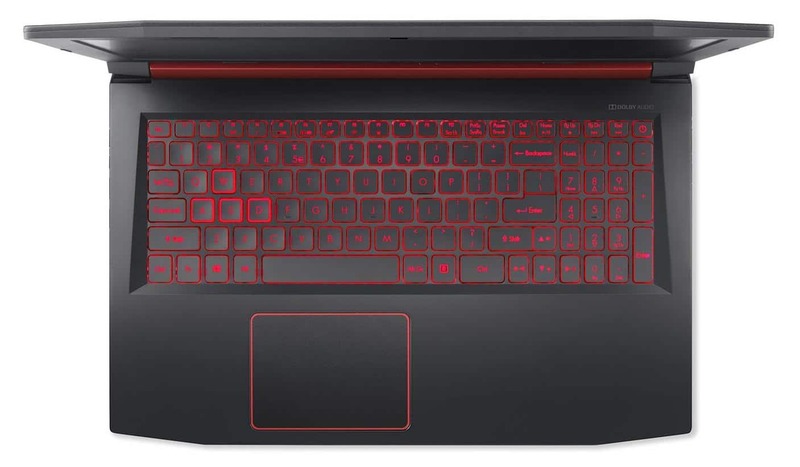 Its structured and understated red hull also hides a GTX 1050 Ti Pascal and a beautiful Full HD IPS matte screen, not to mention the presence of USB Type-C and a backlit keyboard. 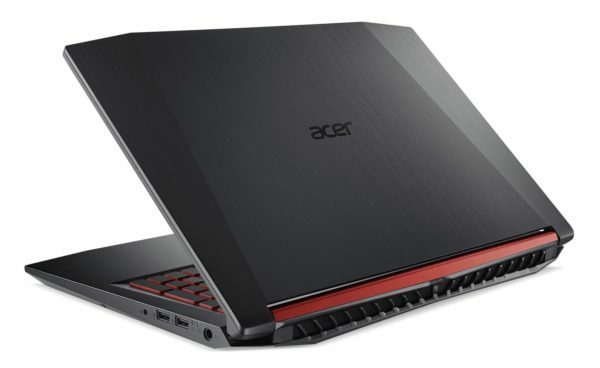 On the aesthetic level, the Acer Nitro 5 AN515-51-53ZA opts for a predominantly black shell and red accents, between discretion and sleek design. If you look closely, it shares its format with the Acer Predator Helios with a less rectangular frame. There is the same hood structure and the same design of the ventilation grilles at the back. But the rest of the chassis is more sober, without lights or impressive design elements. Even the red central hinge remains relatively unobtrusive with a polished matte surface and a very dark tone, far from the bright red of the VX15. His measurements are average and will not sail in the mobile world. It should not expect to exceed 4 hours of autonomy with this PC, if not in “energy saving” mode. At the center of its configuration, the GeForce GTX 1050 Ti achieves a comfortable level of play across all titles in the market, but not on the highest levels of detail. The intensive players will have to make some concessions on the parameters or on the FPS to play in Full HD with fluidity. And when the gaming session is over, the PC switches to the Intel HD 630 chip built into the processor to preserve power consumption, thanks to Optimus. Acer has also equipped its Nitro AN515-51-53ZA with a versatile base consisting of a Quad Core i5 Kaby Lake and 6 GB of RAM. She is doing very well in the face of all the common tasks (web browsing, Office work …) and also faces programs exploiting the multi-core architecture (video editing, photo retouching, light 3D) , provided you master multitasking. Indeed, it is considered that 8 GB of RAM is the minimum and the most favorable at the moment on a PC game, especially if you have to multiply the tabs and active applications. Opposite, the storage is adequate but no less standard for its category. 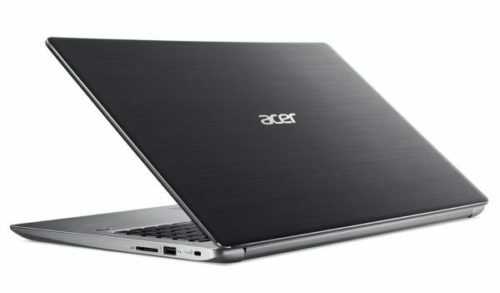 It combines a dedicated SSD with a large hard drive. This duo is the pair to ensure a system more reactive – the operating system, programs and games are installed on the dedicated SSD – while adding a large storage space to house your toy library. The gain provided by the SSD is visible compared to a machine with a hard disk alone, especially since it is generally quieter, more robust and more energy efficient than its cousin. Another strength of this PC, the Full HD IPS matte display is a pleasure to see. Thanks to IPS technology, you enjoy a consistent image with rich colors regardless of your position in front of the screen and a high display density thanks to Full HD (1920 x 1080 px). This definition allows you to fully enjoy your High Definition content and to modulate the positioning of windows without losing legibility. In addition, the antireflection treatment plays a decisive role if you are installed in a very bright environment, was a barrier to glare. 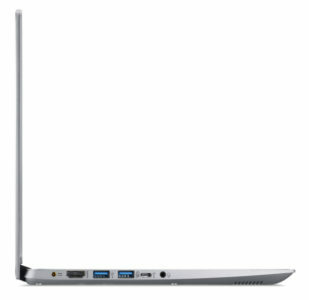 Connectivity is rather classic and includes three USB Type-A ports including a single USB 3.0, a USB Type-C (without Thunderbolt 3 support), an HDMI output, an SD card reader and an audio output. Most are positioned on the left side. The latest generation of WiFi AC and Bluetooth 4.1 modules are also on the menu.